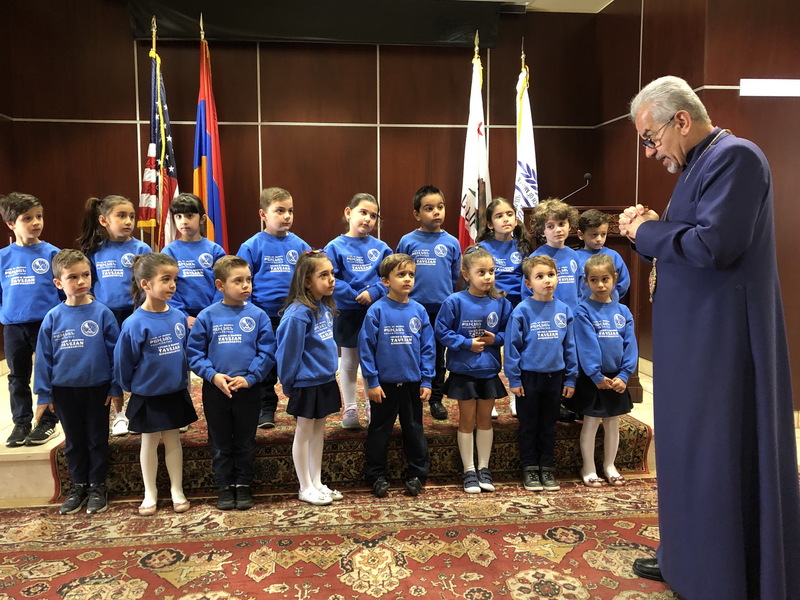 On Thursday, April 11, 2019, students of Levon and Hasmig Tavlian Pre-School and Kindergarten paid their annual Easter visit to the Prelacy where they received the blessings of H.E. 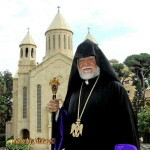 Archbishop Moushegh Mardirossian, Prelate, and presented a festive holiday program. The students, accompanied by Director Garine Joukadarian and teachers, first assembled at “St. Dertad and St. Ashkhen” Chapel for a prayer service with the Prelate, who was joined by Rev. Fr. Boghos Baltayan and Archpriest Fr. Nareg Pehlivanian. The students sang the Lord’s Prayer and followed along as the clergy sung a hymn from the Great Lent Sunrise service. 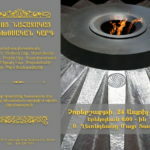 Afterward, the students presented a beautiful program of religious and patriotic songs at the “Dikran and Zarouhie Der Ghazarian” Hall and surprised the Prelate with a lovely gift dedicated to the 150th anniversary of Hovhannes Tumanian’s birth, an album of their drawings depicting each of Tumanian’s tales. 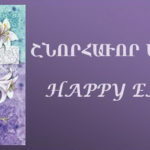 The Prelate had an informal conversation with the young students during which he explained the message of Palm Sunday and Easter and reminded them of our Lord Jesus Christ’s love for children, after which he gifted them crosses and Easter prayer cards.